Have you ever taken your child out for a really lovely trip, or planned something gorgeous for them, only for them to turn around and be rude, uncooperative, ungrateful or generally awful?! Or you’ve created a fabulous birthday party and they have a meltdown at the end of it, saying it was “the worst day ever”? In today’s video I go talk about, what Patty Wipfler from Hand in Hand Parenting describes in a far more eloquent way as, a Spoiled Outing. 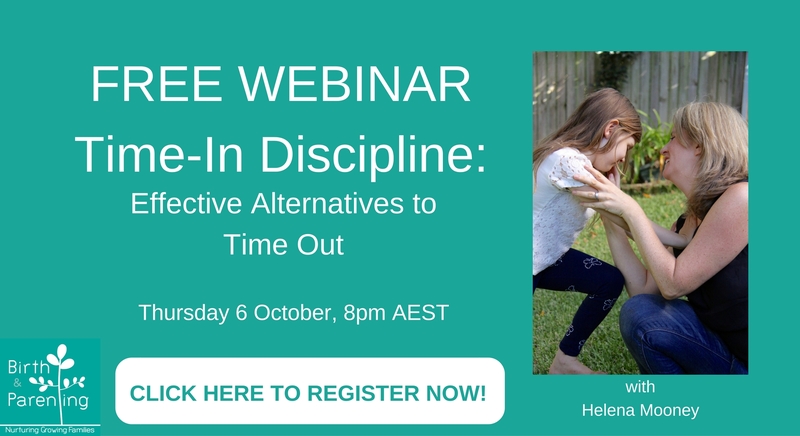 So if you’d like some help in knowing HOW to respond to this Spoiled Outing behaviour, be sure to sign up for my FREE Webinar that’s on TONIGHT! We’ll be going through ways to help our children with their big feelings at times such as these, and when they hit, throw things and are generally considered to be ‘out of control’. a sense of normalising how we all respond (imperfectly) in these frustrating moments! It’s also perfect if you’ve tried various different approaches, including Time Out, and are now wanting an effective alternative based on connection. Would love to see you TONIGHT at 8pm. So SIGN UP NOW (yes, right now!) and I look forward to chatting with you then! PS – Remember to take advantage of my EARLY BIRD SPECIAL OFFER for my ANNOYING to AMAZING 6 week program. CLICK HERE for more details & to book.